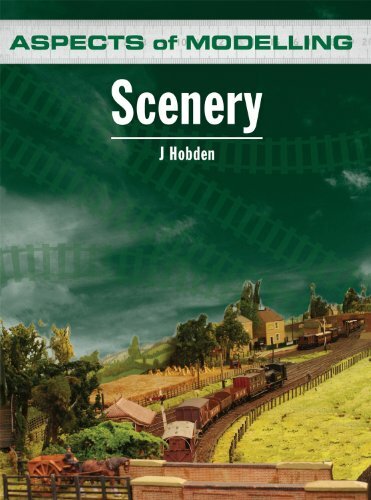 Scenery by J Hobden in the ‘Aspects of Modelling’ series will give modellers of all abilities, and particularly beginners, all the necessary skills and abilities to perfect one of the most important and satisfying aspects of a model railway layout, the scenery. Beginning with the basics this volume shows how best to construct the environment through which the railway operates, and shows how to build cuttings, embankments, bridges, tunnels, rivers and road – in fact, all the things that go to recreate a particular scene or location. Beautifully illustrated throughout with vivid, detailed pictures which are ideal for reference, this practical guide provides essential advice for anyone starting out in railway modelling, and also gives many useful hints and tips for experienced modellers or how to enhance a recreated railway scene and achieve the very highest level of accuracy in every layout. This is one title that every modeller should have on the library shelf, and it makes a valuable addition to an excellent modelling series.